A couple of really cool Toyota Celica videos caught our eye this week, so we thought we’d share them with you. First up is Australian Owen Cutbush. So Owen has not one, not two but three first-generation Toyota Celica models – one for everyday use, one for the track and one for drag racing. Owen, you are a dude. Owen is not the first Celica afficionado from Australia we’ve covered here on the blog. Take a look at the classic Celica collection owned by the Vella family in Victoria. 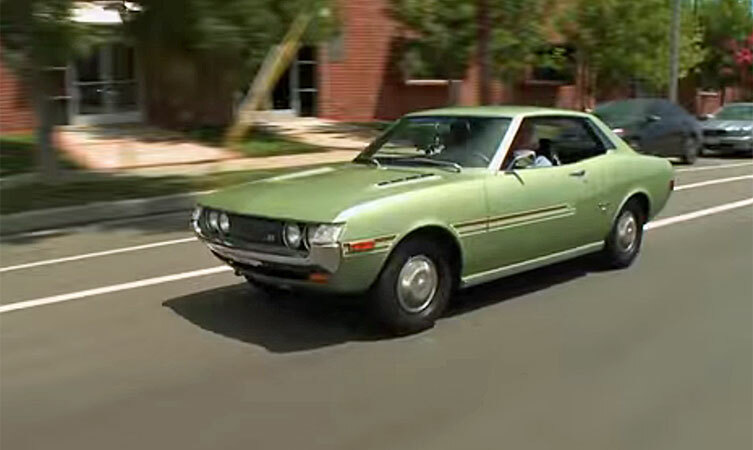 The second Celica video is from the famous Jay Leno’s Garage and a 1971 Celica is the star of this episode. The car belongs to the Toyota USA museum in Torrance, California, and Jay Leno goes into the history of the model with Paul Czaplicki and Tim Mochizuki from Toyota before taking it out for a spin.